Is Russia's central bank guilty of sabotage? It's getting ugly in Russia. Forget plunging oil prices or nasty Western sanctions -- apparently the country's central bank is to blame for the crisis now slowly strangling the economy. A senior member of President Vladimir Putin's party has accused the Bank of Russia of engineering the collapse of the ruble. The bank is now being investigated by state prosecutors as a result. The bank's "crime" is failing to prevent the ruble from plunging about 37% against the dollar in the last six months -- despite spending tens of billions of foreign currency reserves trying to prop it up. It intervened in the market again this week, buying another 36.9 billion rubles ($700 million) on Monday in its first such move since allowing the currency to float freely in November. Russia's economy was already beginning to seize up earlier this year as Western sanctions chilled investment and raised funding costs for government, banks and businesses. The crisis has sparked a flight of capital -- some $120 billion is expected to leave the country this year. Another $80 billion could follow in 2015. Russia has taken another big knock recently from the sharp fall in oil prices. Revenues from oil and gas make up nearly half the Russian state budget. As revenues fall, the currency weakens further. That drives up inflation, forcing the central bank to jack up interest rates, thereby depressing activity. For the first time this week, the government admitted that the economy was spiraling into recession. GDP is expected to shrink by 0.8% in 2015. To add to the misery, the plunging ruble is making it harder for the government and big banks to repay their foreign debts. 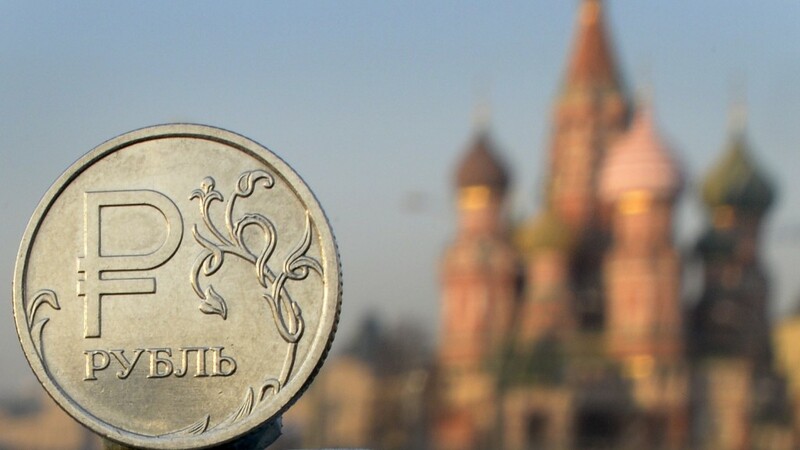 The falling ruble is leaving the Russian banking sector vulnerable, raising fears customers might start withdrawing their deposits in rubles to switch to dollars, Capital Economics analyst Neil Shearing said. Rumors spread quickly this week that banks were limiting the amount of dollars their customers could buy. All the big Russian banks said Wednesday they had imposed no such limits.